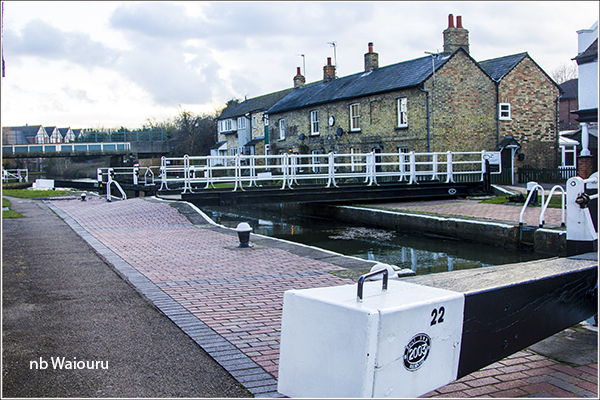 Fenny Stratford lock is rather interesting being a stop lock with a swing bridge over it. There is a CRT brick building on the towpath side of the lock which is apparently an old pump house. 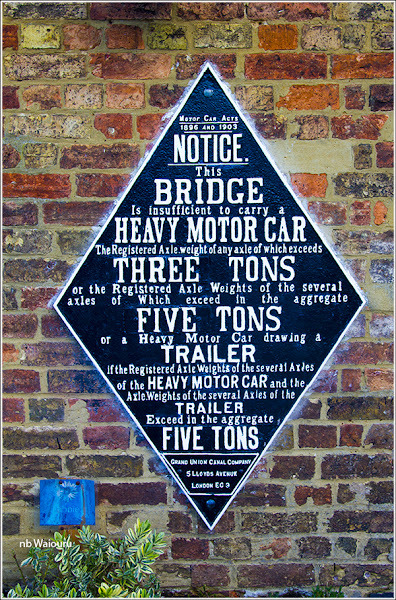 It is apparently Grade 2 listed and I assume it was built to transfer water between the pounds above and below the lock. 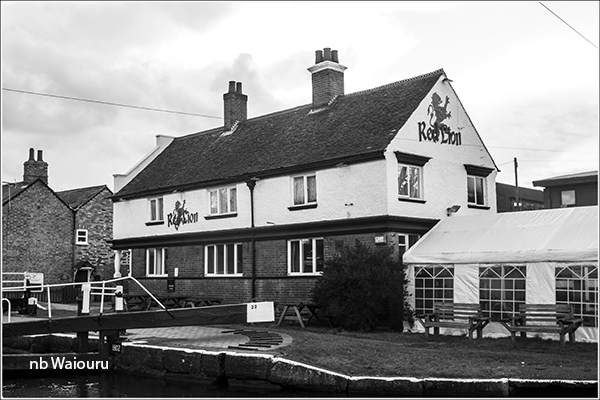 The Red lion pub is located on the opposite side of the lock. Unfortunately it doesn’t serve food which rules it out for our usual Sunday roast lunch. Looking back towards Milton Keynes it is possible to see Waiouru on the 14 day moorings. She is the second boat back on the right. Wandering up into Fenny Stratford I discovered a couple of shops which will hopefully delight Jan. 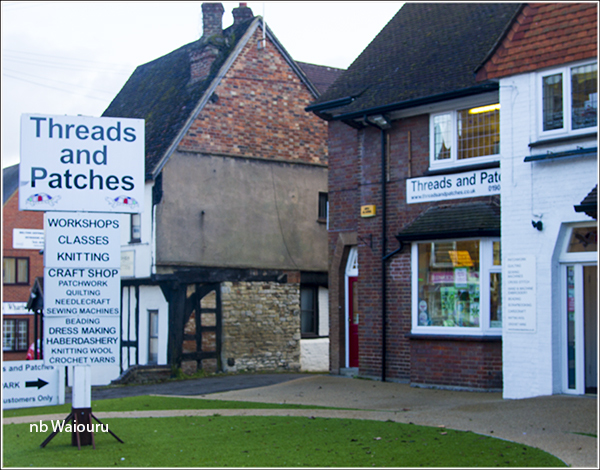 There is a large craft shop on High Street and around the corner on Aylesbury Street is a wool shop. Even better, further down Aylesbury Street is the Bull & Butcher pub which serves traditional pub food. Sunday lunch might be solved. 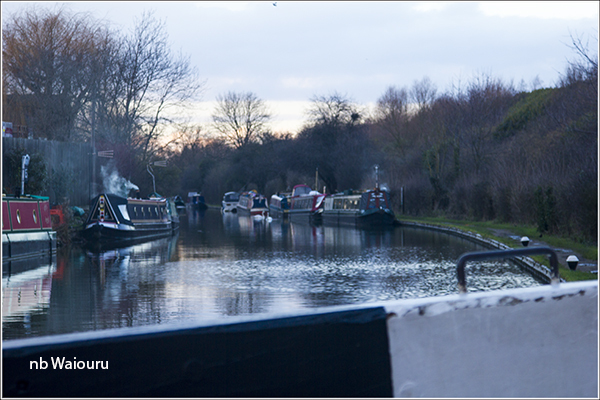 The only negative thing about this part of the canal is the way the boats are spread out along the towpath. It’s almost as if they have deliberately left room for three boats between each moored boat forcing passing boats to travel long distances at tick over. Fortunately we are not in a hurry. Fenny lock doesn't fit the definition of a stop lock -- as it's not between canals which were owned by different companies. There are a couple of theories for its existence -- one that it was a surveying mistake, and the other that it was put in the reduce the water pressure caused by the very long pound. Incidentally, you're moored below the lock, not above it -- you're starting to climb again. As Adam has pointed out, Fenny Stratford isn’t a stop lock. There are just four working stop locks left on the system. 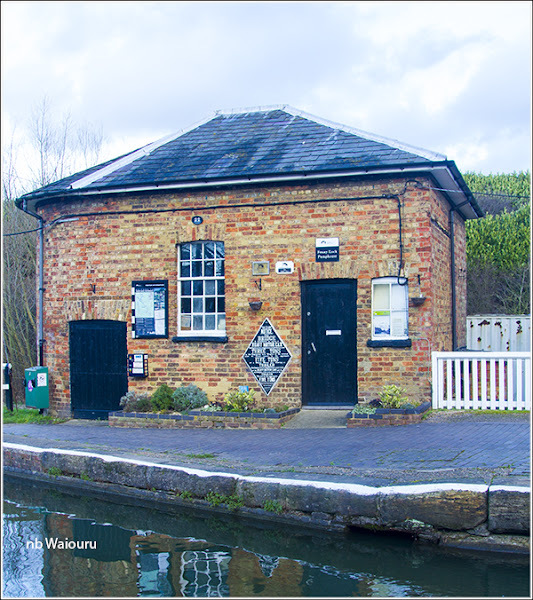 There’s one more stop lock which still has gates at Warwick Bar (Grand Union Canal Digbeth Branch – Birmingham & Fazeley Canal Digbeth Branch) which is double ended with two pairs of gates permanently fixed open. There’s also one at King’s Norton which can be operated but is fixed open as the water levels are the same so it’s ornamental (and probably listed as it’s the only guillotine one) rather than functional. 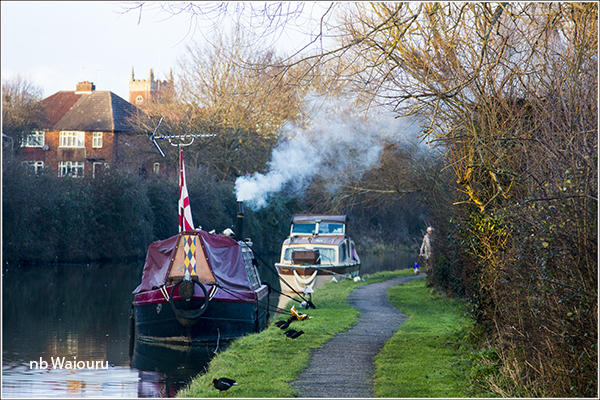 The gateless narrows of others can be seen near junctions like Nechells Stop Lock (Grand Union Canal – Birmingham & Fazeley Canal). Some out of date maps still show it there! You'll also find a good ironmongers shop in Fenny Stratford: Pollards in Aylesbury Street.